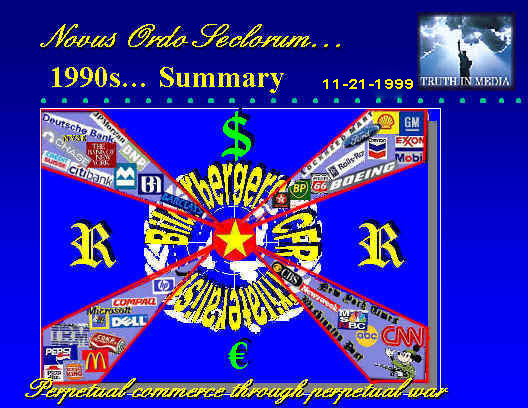 SELLNG FEAR TO BUY SUBSERVIENCE – TRUTH IN MEDIA: TRUTH TRUMPS POWER EVERY TIME! MAFIA TACTICS LEAD TO NEW RESTRICTIVE LAWS IN CANADA, FRANCE, BRITAIN, AUSTRALIA… LIKE THE PATRIOT ACT IN THE U.S. 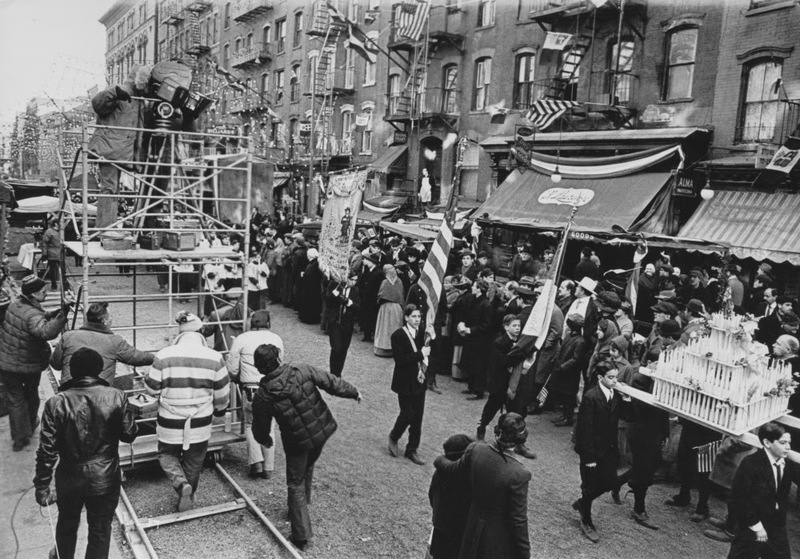 In a scene from the 1920s, a new Sicilian immigrant, the future Godfather, and his pals threaten some Italian shopkeepers in New York with violence unless they agree to pay for protection. 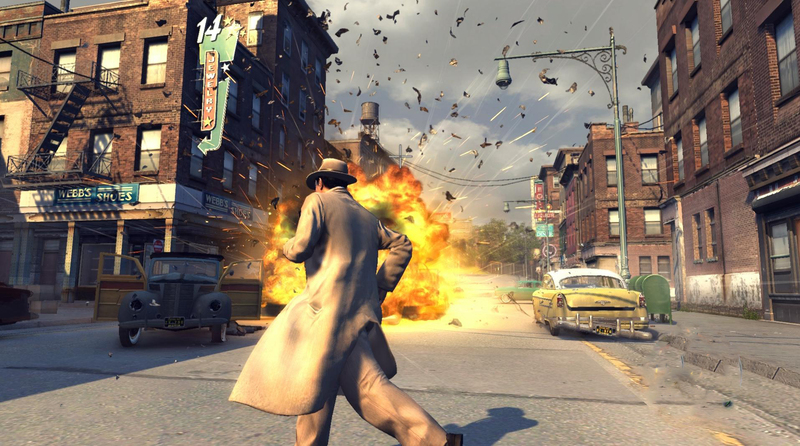 To spread fear in the neighborhood, they make good on their threats. Some shops are set on fire. Soon, others quickly fall into line and start paying up. That’s how the Mafiosi got themselves a new security business. They got rich. They became powerful, bribing the police and some judges and politicians. They all had one thing in common: THEY TRADED ON FEAR. Fast forward to the 21st century. The same mafia tactics are evident only on a much larger scale. 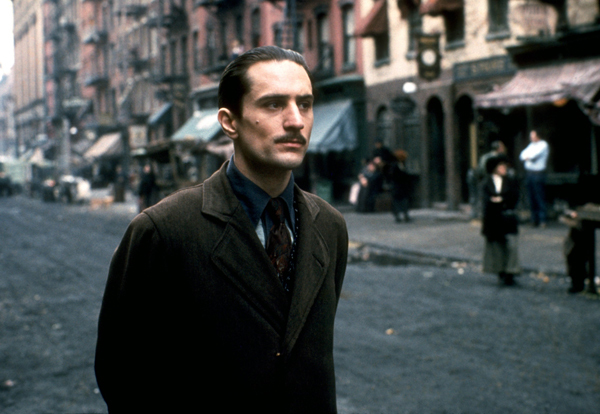 Except now Wall Street’s Washington stooges are playing the role of Godfather’s goons. But the real Capos (Bosses) are the New World Order bankers and their corporate cronies who are pulling their strings from backstage. They also had one thing in common: THEY TRADED ON FEAR. By now, most enlightened Americans know that 9/11 was a false flag attack which our Washington mafia used as justification for subsequent draconian laws, wars and creations of new institutions, like Homeland Security. All this has led to a general militarization and criminalization of our society in the last decade and a half, and a shredding of our constitutional rights and freedoms by use of the Patriot Act and other means. America is now closer to becoming a police state than ever before in its 239-year history. Now, it’s other countries’ turn to copy our bad example. The New World Order leaders have been trying to create a global state of fear as a prelude to police states among our allies. Britain first, then Canada, Australia, France… and again Britain. And like the good little ducks falling into line, the politicians in those heretofore supposedly free and democratic societies have been aligning themselves with the Washington NWO mafia, and enacting laws that increase government’s powers and diminish the rights and freedoms of their citizens. Take Canada, for example. In this dramatic opening paragraph to the new Bill C-51, the editors of InsaneMedia examine Canada’s new anti-terror legislation that was recently passed by Canada’s Members of Parliament. Are you a Canadian citizen? Does the country feel any different today? The sun still came up. You went to work, the kids went to school and the bills still need to be paid. In all the ways that matter to most people Canada will feel little different today than it did yesterday. Make no mistake though, this is no longer the country our grandfathers fought and died for. May 6, 2015. Remember that date. Etch it into your brain so if your children ever ask when it was that Canada officially became a pawn in the contrived global war on terror you’ll be able to tell them. May 6, 2015, the day MPs (in the face of nation-wide protests and letter writing campaigns) voted 183 – 96 in favour of enacting the most draconian set of laws to ever disgrace our once proud nation. A vote that was taken without comment or even the participation of Daniel Therrien the government’s own privacy watchdog. Of course, the precursor and the justification for all this came from a false flag attack on Oct 22 in Ottawa (see SYDNEY, OTTAWA: BEWARE FALSE FLAG “TERRORISM”, Dec 14, 2014). 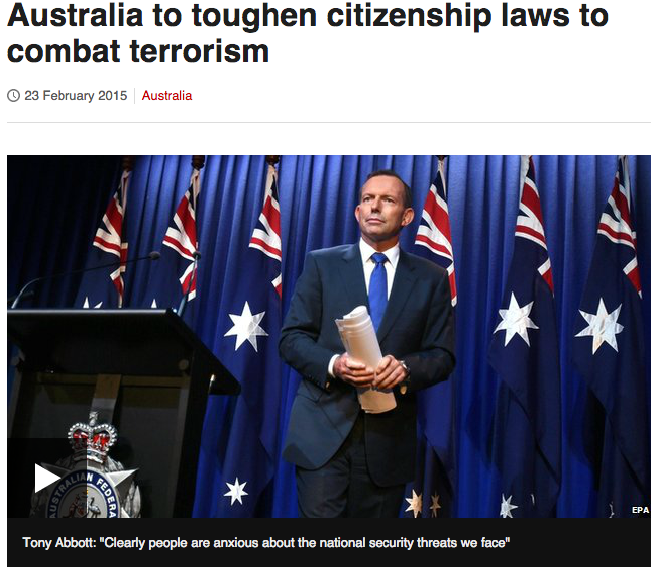 Ditto in Australia, where prime minister Tony Abbott announced a toughening of that country’s anti-terrorist laws on Feb 23 (see Australia to strengthen laws to combat terror – CNN.com). Australia will toughen its citizenship laws as part of the government’s new counter-terrorism strategy, Prime Minister Tony Abbott announced in a national security address on Feb 23. The new measures include suspending and revoking citizenship for dual nationals involved in terrorism, and also stripping certain privilege. And then there is France. Already a country with some of the toughest anti-terrorist laws in Europe, the French government wasted no time exploiting its own possible false flag operation at Charlie Hebdo in early January to introduce new even tougher anti-terrorist laws (also see CHARLIE HEBDO’S BLOOD MONEY: PROFITING FROM MURDERS, TERRORISM, Jan 14). The proposed law, introduced in Parliament in March, would allow the government to monitor emails and phone calls of suspected terrorists and their contacts, without seeking authorization from a judge. Telecommunications and internet companies would be forced to automatically filter vast amounts of metadata to flag suspicious patterns, and would have to make that data freely available to intelligence services. Agents would also be able to plant cameras and bugs in the homes of suspected terrorists, as well as keyloggers to track their online behavior. Following the shooting, the Paris Administrative Tribunal upheld a ban on an anti-Islamist rally. French police have arrested 54 people for verbally supporting or threatening terrorist acts in the wake of the terrorist attacks, including four minors and French comedian Dieudonne who is known for his anti-Semitic views. The French Justice Ministry also called on prosecutors tocrack down on hate speech, anti-Semitism and support of terrorism. 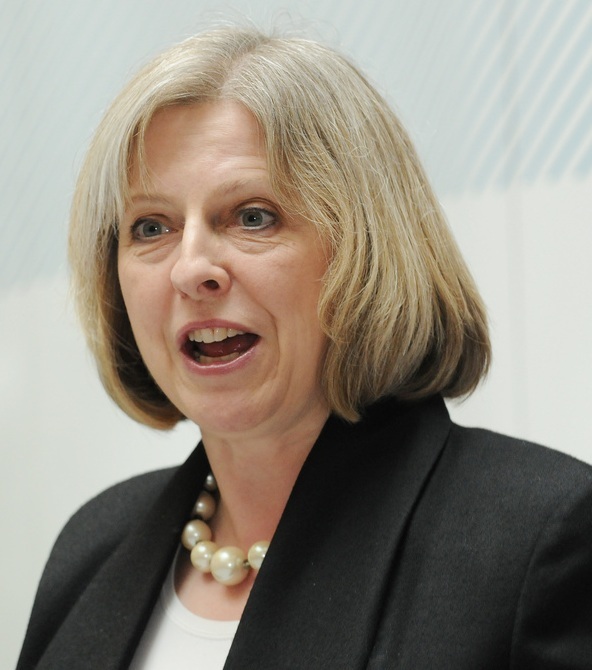 The UK on Friday (Feb 13) enacted anti-terror legislation to help combat terrorism by curbing the number of British citizens joining Islamic State (IS) and other militant groups in Iraq and Syria. The Counter-Terrorism and Security Act [HL Bill 75, PDF] expands the current anti-terror law and includes provisions allowing [WSJ report] the UK to stop a citizen’s re-entry into the country when he or she is suspected of aiding terrorist groups and requiring internet providers to maintain communication data of UK citizens to allow the police to find individuals who may be using certain devices. Civil rights groups have criticized the re-entry provision, stating that it could violate international law. Internet providers have similarly objected to the data-maintaining provision, asserting that this imposes costs onto the companies and no benefits are provided in return. “This important legislation will disrupt the ability of people to travel abroad to fight and then return, enhance our ability to monitor and control the actions of those who pose a threat, and combat the underlying ideology that feeds, supports and sanctions terrorism.” The legislation will take effect next week. So there you have it, Washington’s NWO puppets have each staged and exploited their own versions of 9/11 and Patriot Act in the last seven months. Clearly, it is a well planned and coordinate attack on human rights and liberties by the New World Order governments, and step toward a global police state. What were they thinking? That we would not notice it? Or that we would, and would not care? Or that we would, and they didn’t care? Either way, silence is acquiescence. If we remain mum about these travesties of justice, we can only expect more of the same. Or worse. Luckily, the Section 215 of the Patriot Act which deals with surveillance is due to expire on June 1. Both the British and the U.S. courts have already ruled that these practices are illegal (see GCHQ and NSA mass surveillance during the last seven years was unlawful, Feb 6, and NOW U.S. COURT ALSO RULES NSA MASS SPYING ILLEGAL, May 9). Let’s keep up the pressure on our Representatives and let them know that we want NO MORE SPYING! And that we want ALL of our constitutional rights restored, and the Patriot Act repealed. After all, it was based on the 9/11 deception, and thus in and of itself it is unlawful. WASHINGTON, May 13 (Reuters) – The U.S. House of Representatives on Wednesday approved a bill that would end spy agencies’ bulk collections of Americans’ telephone data, setting up a potential showdown with the U.S. Senate over the program that expires on June 1. As voting continued, the House overwhelmingly backed the USA Freedom Act (by a 338-88 vote), which would end the bulk collection program and instead give intelligence agencies access to telephone data and other records only when a court finds there is reasonable suspicion about a link to international terrorism. The bill’s fate is much less certain in the Senate, where many key lawmakers would rather reauthorize the existing bulk data collection program than approve the Freedom Act. 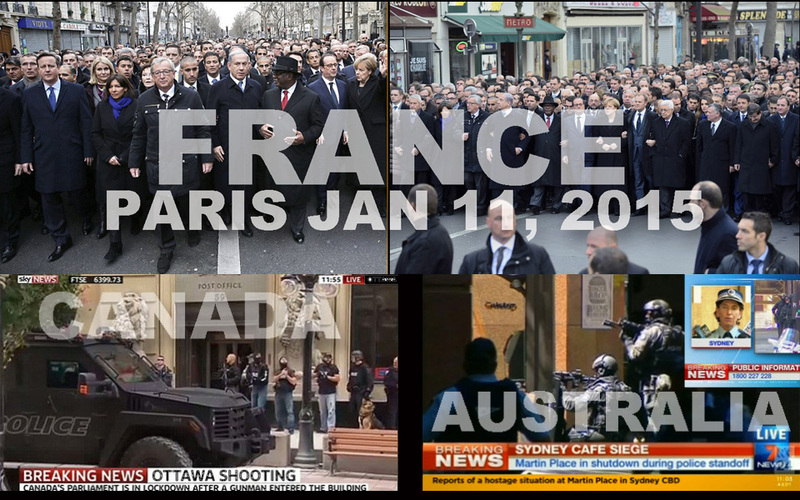 In short, like Markale (Feb 1994, Sarajevo), 9/11, MH-17 (July 2014, Ukraine), Ottawa (Oct 2014), etc… today’s Sydney siege looks and feels like another New World Order “false flag” incident. Same patterns, same “MO,” same propaganda, same purpose. Its purpose was to stoke the fires of war and shore up their support for the newly-minted “war on ISIS.” Just as the 9/11 did in the US against Al Qaeda. But the main goal is to scare the local population in giving up what little of their rights and liberties remain. So that the New World Order would-be masters can lord over them unobstructed. That’s the New World Order motto. 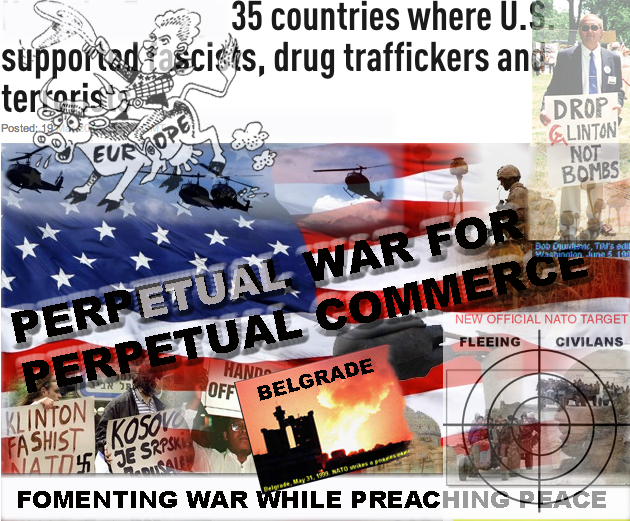 The Truth in Media first discerned it 20 years ago during the war in Bosnia. We saw it reactivated in Ukraine this year (see PROOF OF “DRANG NACH OSTEN” THEORY: NATO TO EXPAND TO FORMER SOVIET STATES, SUSPEND COOPERATION WITH RUSSIA, Apr 1, 2014). What happened in Sydney today is merely the latest chapter in this macabre tale of global deception and conquest. The New World Order antics are becoming so transparent that they are almost predictable. Where will the next strike hit? My top candidates are Germany, Netherlands, Spain and New Zealand… i.e., major countries that have not yet signed up for the war on ISIS.